This exhibit features a lateral X-ray and sagittal section of the cervical spine. 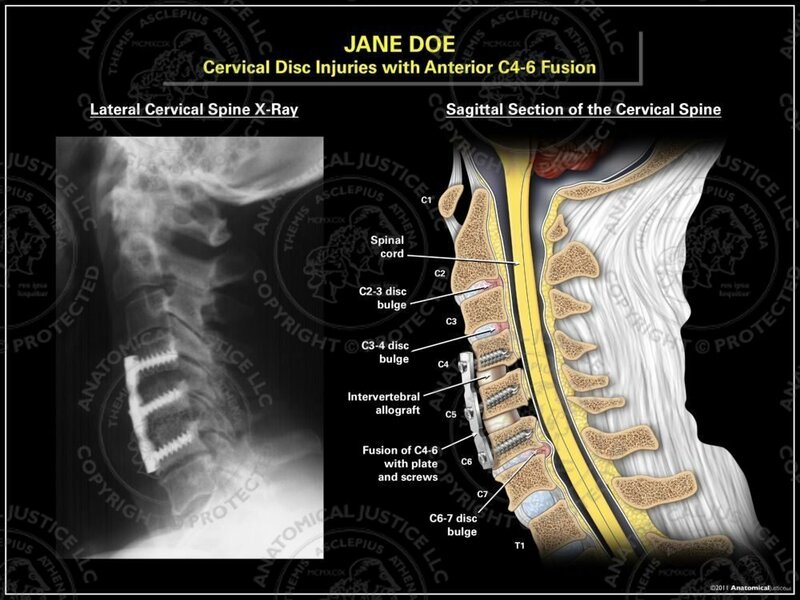 Intervertebral disc bulges are seen at C2-3, C3-4, and C6-7. 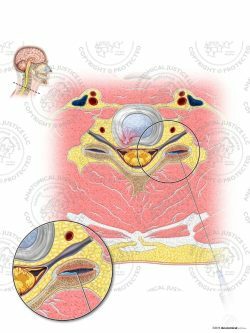 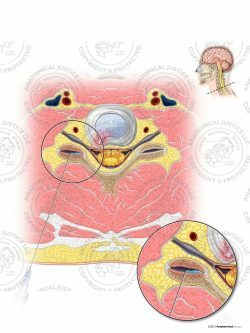 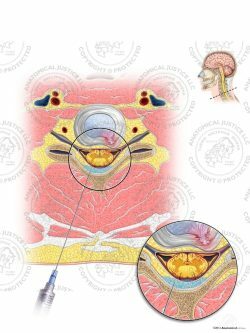 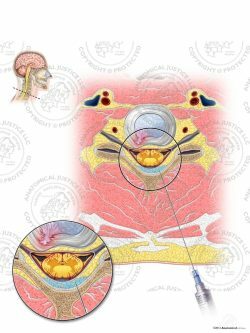 Anterior C4-6 fusion has been performed with allograft dowels, a cervical plate, and screws.